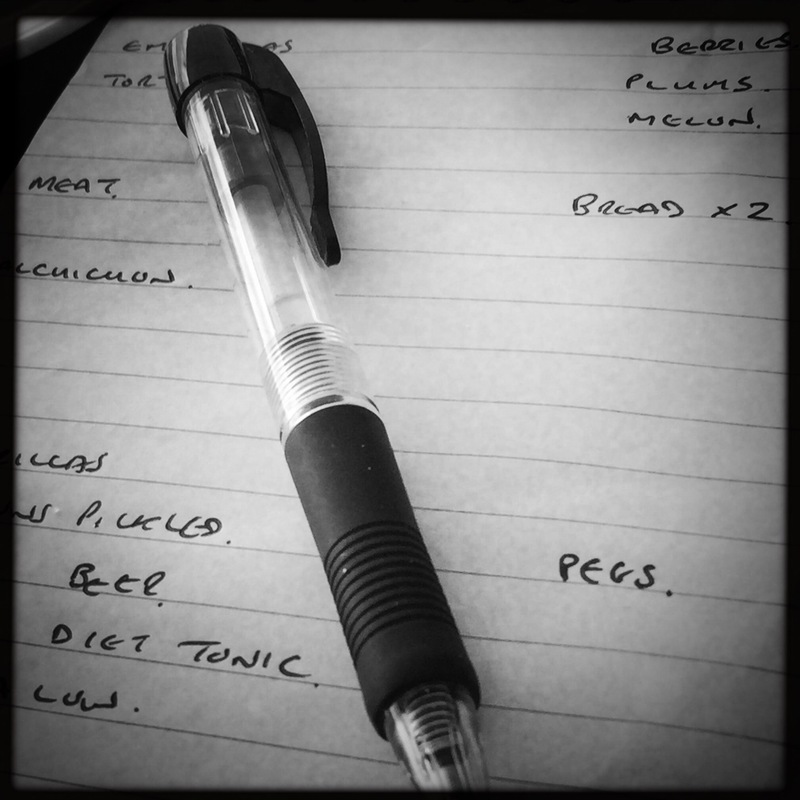 The shopping list had been two weeks in the planning and had been divided into food groups (meats, veg, fruit….only kidding who eats fruit on holiday (oh sorry we do #sados), drinks, nibbles etc.). The list had been written out long hand messily, then tidily, photographed, WhatsApp’d, typed up, amended, rewritten long hand and eventually distributed to shopping team leaders. Before we came away I had no idea exactly where we were coming to, what hire cars we had or even the flight times….but I knew what we were eating. Mum and dad had opted to stay at home and “guard the villa”. Mum said she might “slow us down”. I wish I could have used that excuse, but no luck, I was part of the team about to launch the attack on the North face of the supermarket. We were split into 2 teams (I’m surprised we didn’t have T Shirts made up) of boys and girls (we are very traditional on our gender stereotypes) and the girls (…ok, ladies) were looking after the food; and the boys (…ok, men…..nah let’s stick with boys) were looking after the drink. We both entered the supermarket and the girls team got their list out and started methodically working their way through it. Tibu and I went and had a look at the tyres. Just to explain, Tibu has had to recently replace a tyre and so is painfully aware of the price. 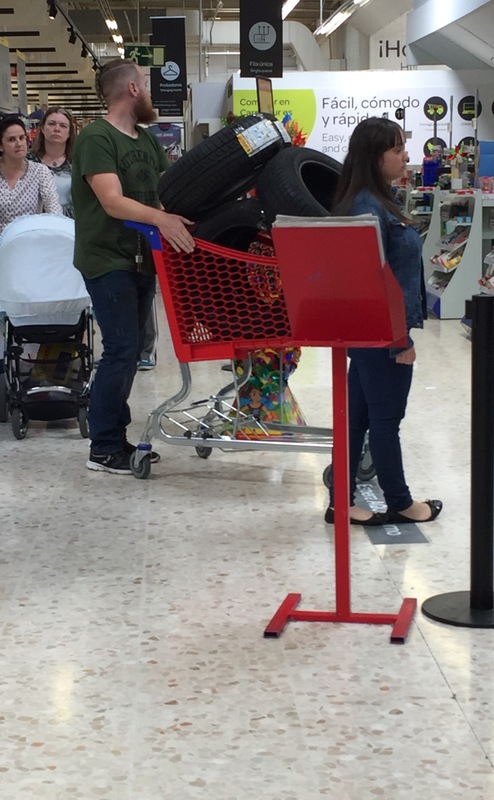 I am convinced that it is still cheaper booking an EasyJet flight, buying the tyres in Spain and paying £38 each as hold luggage, than buying them in the UK; but they didn’t have his size, so we will never know. If you look at this picture though, I think some had the same idea. We then headed off to do some serious drinks shopping. I mentioned on the 2013 blog about Tibu’s amazing ability to buy good quality cheap wine, so I was really just there as the brawn to push the trolley. Saying that, even I know that €18 for the 3 bottles of White Horse whisky is good value…but would we drink 3 bottles in 2 weeks? Let’s do the math. 3 whisky drinkers, so that’s 1 bottle each over 14 days. Each bottle contains about 10 of dad’s measures, 8 of mine and 6 of Tibu’s, so that means a whisky every other day….hmmm, I wonder if you get it cheaper if you buy 6 bottles at a time? Carrefour seemed to be full of 3 for 2’s and by the time we had all the wine, beers and spirits, plus a bottle of Ice Tea for Karen, it was quite uncontrollable and had a life of its own. We then filled up the other trolley with nibbles and made tracks to find the girls. They were only half way through their list (amateurs) so I went off and bought a hoodie from C&A (it gets cold here at night). 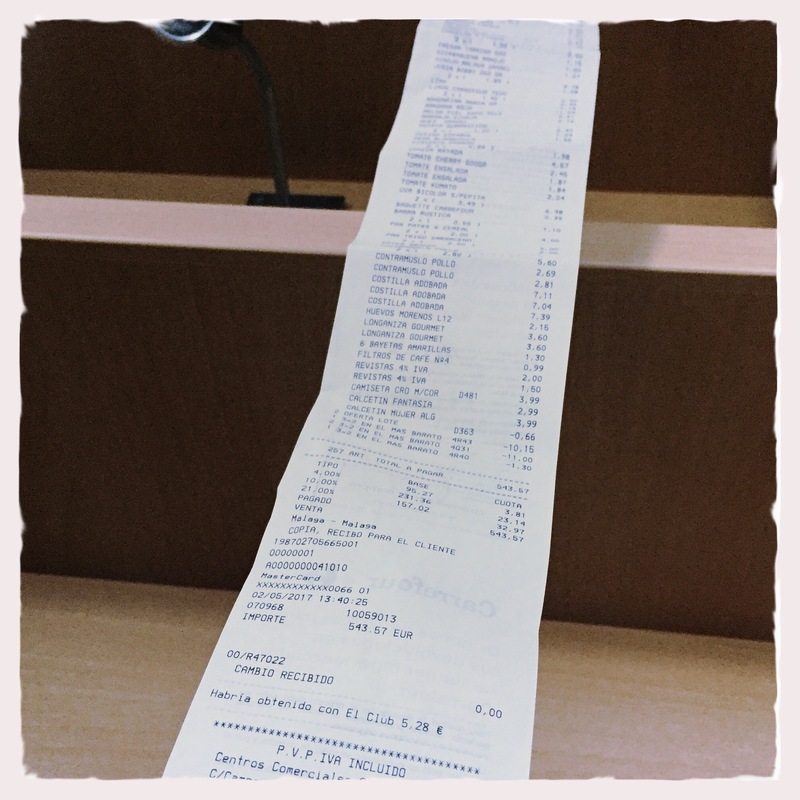 ​​Once we had finished we took our 4 trolleys off to the checkout. They have a queueing system like they have at the bank here, so you all line up and then are called to the next checkout as they are finishing up with the previous customer. It’s genius, but a bit more awkward when you have 4 shopping trolleys. The packing was like a military operation and putting the food into the fridge was like a ballet. 5 of us working around each other, with mum and dad watching us realising that they had both missed a bullet with this trip. Then, we could relax. Until we did it all again 2 days later.